Job complete. The gauge is nicely illuminated at night. 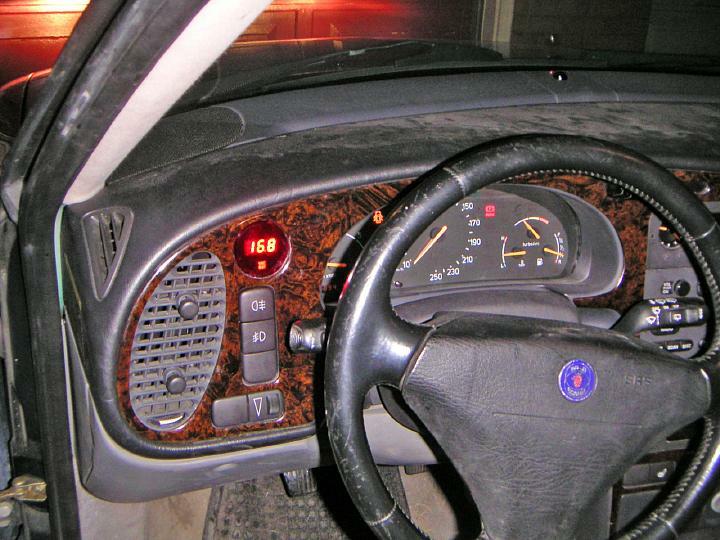 Boost gauge installation on a 1996 Saab 900. This should work for most T5 cars. For T7, see this guide.